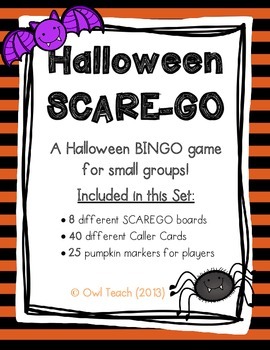 Halloween: This is a Halloween Bingo set for 8 different players! 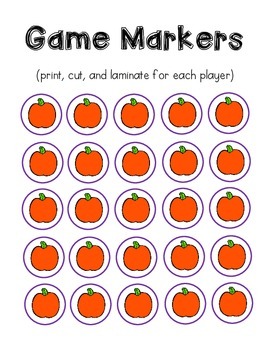 It includes 8 playing boards, 40 "caller cards", and a set of 25 game markers! 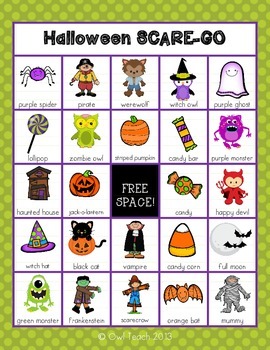 It has adorable, colorful clip art images! 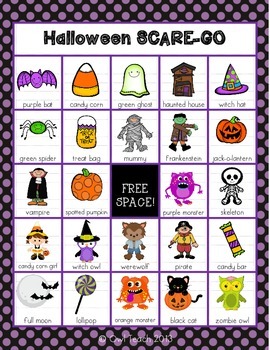 This would be great for a small group or during Halloween centers!